South Family Dental Care performs Root Canal Therapy to save your teeth from extraction — saving your natural teeth is always our first priority. Root canal treatment is used to save teeth by removing the nerve inside the tooth when it is diseased or dying. Unfortunately, teeth are not able to heal on their own when there is disease such as deep cavity or trauma caused to the nerve. Root canal therapy is a crucial dental treatment used to save teeth that are diseased, infected, fractured, or have become non-vital over time, reducing the need for extracting these teeth. The most common myth we hear about Root Canal Therapy is that it is very painful when in-fact, Root Canal Therapy is used to relieve the pain and discomfort associated with teeth that are diseased and infection. 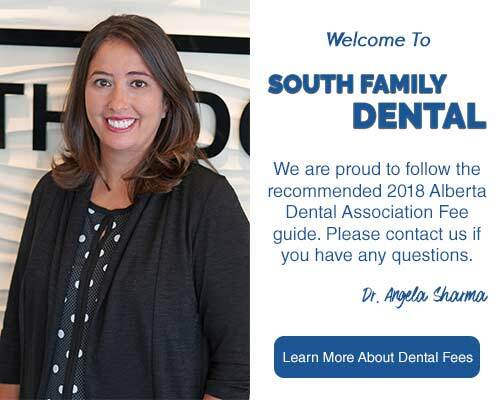 Dr. Angela Sharma and her team pay close attention to your comfort throughout your appointment for South Calgary Root Canal treatment. Patients that experience anxiety towards root canal therapy often tell us they did not feel any pain during their treatment, only pain relief afterward! Root canal therapy is required when the nerve inside your tooth — known as the pulp — become infected or exposed from advanced tooth decay or injury. When the hard outer layer of the tooth, known as enamel, has been compromised, the nerve inside the tooth can become infected. 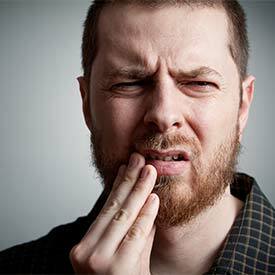 An infection called an abscess might occur inside the tooth or at the tip of your root. This abscess destroys the bone that surrounds the tooth which causes severe pain and discomfort. The tooth becomes reactive to hot or cold food and beverages, and the pain lingers long after the source is removed. Saving your natural teeth is always the first option that we consider at South Family Dental Care Clinic because preserving your natural teeth for a lifetime of use is our top priority. 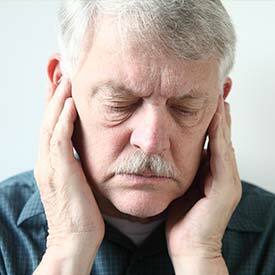 There are times, however, when root canal therapy is not ideal then the best solution for your needs. When your tooth cannot be saved with root canal therapy, the need for a tooth extraction to relieve your pain becomes necessary. We will plan your treatment to replace the missing tooth with a dental implant, dental bridge, or partial denture to restore the function of your teeth and to prevent the neighboring teeth from shifting. Prevent root canal therapy can be as easy as following correct oral hygiene practices, choosing a healthy diet, and wearing a sports mouth guard to help prevent injury to the teeth. Regular dental visits with Dr. Angela Sharma help him diagnose and identify underlying issues before they progress, which also reduces your risk of infection and ultimately root canal therapy. If restoring your natural teeth for a lifetime of use is important to you we are pleased to offer South Calgary Root Canal Therapy to help you achieve your goal for optimum dental health. Call us at (403) 262-3235 to book your Root Canal Therapy Consultation with us today!